Civic dignitaries from Staffordshire, Warwickshire, France and Germany will be among around 220 invited guests in Tamworth this week for the biggest event in the annual Mayoral calendar. 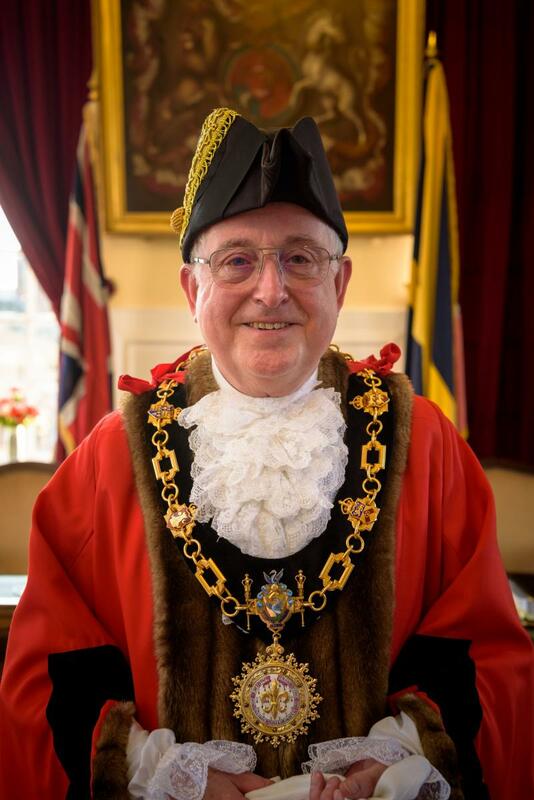 Mayor of Tamworth, Cllr Peter Thurgood, is looking forward to hosting the 2019 Civic Ball at Drayton Manor Park on Friday, February 15, when he will welcome colleagues from across the region and Tamworth’s twin towns of Vaujours in France and Bad Laasphe in Germany. These include the Mayor of Bad Laasphe, Dr Torsten Spillman, and Deputy Mayor of Vaujours, Guiseppina Dimino. He will also be joined by Tamworth MP Christopher Pincher and representatives of local groups, organisations and charities who will come together to celebrate the Mayor’s year in office and raise even more funds for the Mayor’s Charity Fund. Cllr Thurgood has organised a number of charity events throughout the year, with help from local groups, but the Civic Ball is the jewel in the crown and usually adds a significant amount to the Mayor’s charity pot. At the end of their term in office, funds are allocated to charities of the Mayor’s choosing. Cllr Thurgood is supporting a number of causes, but has nominated two main charities; Headway, which supports people with brain injuries and their carers, and the Midlands Air Ambulance, which saves lives by saving vital time in transporting people to hospital. The Mayor is also raising funds for Macmillan Nurses through the sale of prints of Tamworth Castle drawn by Drayton Bassett artist David Davies. While the Civic Ball is self-financing though sale of tickets, there will be a number of fundraising activities throughout the evening including a raffle, an auction and a tombola, with prizes generously donated by Tamworth businesses. There will also be a few fun fundraising games in an entertaining evening to be compered by Radio Tamworth DJ Alex Farrell. Civic Ball guests will also be entertained by Maisy Hepburn, an exciting singing prospect, along with the Bluebird Belles, singing favourites from the 1940s to the present day. Barry John will round off the evening with a disco. Cllr Thurgood said: “Tamworth is a town with a massive heart and people I am truly proud to serve. There is a rich vein of volunteers who freely give up their time to enrich the lives of those who need help and assistance. The voluntary groups cover all aspects of everyday life, from those that have life changing afflictions, to those that have lost their way and need help to re-establish their lives. We can be all proud of our town and its citizens. “In terms of fundraising, the monthly car boot sale that starts in March is a product of close co-operation with Together for Tamworth and it is now a legacy to future mayors, along with events such as the Teddy Mayor’s Picnic. As Cllr Thurgood approaches the end of his year in office, he has reflected on what has been a ‘humbling experience’. “In the words of my predecessor, Cllr John Chesworth, who said ‘I knew Tamworth was full of great people and great organisations, but until I became Mayor I didn’t realise just how much is going on in the town. I’ve met people I wouldn’t have had the chance to meet and visited places I wouldn’t have visited, so it’s been an amazing journey of discovery’. How true that statement is. It is humbling to serve Tamworth.